USAIG Upset Recovery Training by APS generates durable, life-saving skills by developing pilots’ ability to recognize, avoid and recover from virtually any airplane upset, unusual attitude or stall/spin entry condition. Expert UPRT instructors deliver a proven academic curriculum integrated with three flights in an Extra 300L aircraft to embed core pilot skills that translate directly to any fixed-wing aircraft. The customized course spans two days and can be scheduled at APS’s Phoenix, AZ or Dallas, TX locations. The leading cause of fatalities across all sectors of aviation is Loss of Control In-flight (LOC-I). As established by the ICAO Manual on Aeroplane UPRT, on-aircraft UPRT comprehensively addresses the psycho-physiological aspects of an airplane upset event unique to live, in-flight conditions. With a sufficient intensity of real world training, focused on transferable concepts and strategies, pilots can reliably develop the knowledge, skill and discipline to maximize their ability to counter LOC-I. 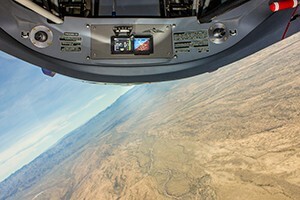 While simulator training often includes upsets, unusual attitudes, approach to stall and some stall events, reliably effective LOC-I skillsets are substantially enhanced by industry-compliant on-aircraft UPRT. USAIG Upset Recovery Training by APS supports and endorses quality-assured and compliant simulator UPRT and such training is directly complimented by APS on-aircraft training. APS is an IS-BAO Stage II, FAA Part 141 approved Flight School with a curriculum applying systematic, building-block methodologies aligned with the latest ICAO, IATA and FAA guidance, best practices and standards in URPT. APS training is in full compliance with the ICAO Manual on Aeroplane Upset Prevention & Recovery Training and the Airplane Upset Recovery Training Aid – the industry’s accepted global standards. Academics provide a background understanding of aerodynamic principles both within and beyond the normal flight envelope, and develop an awareness of the proper prioritization, methods and techniques applied in an escalating or fully developed airplane upset event. On-aircraft training is used to bring academic concepts to life, illustrate aerodynamic characteristics and behavior not fully modeled in most of today’s simulators, and to provide the essential human factors training essential to defeat a time-critical, life threatening airplane upset. Flight portions of the USAIG 2-day/3-flight UPRT program are accomplished in an Extra 300L aerobatic certified airplane. The program addresses foundational concepts; primary control strategies; stall/spin awareness and prevention; all-attitude maneuvering; diverse upset and alternate control strategies. Options to upgrade to more advanced training curricula are available through APS. Your selection of this program as your USAIG Performance Vector benefit provides course tuition for the 2-day/3-flight Upset Prevention and Recovery Training course unique to USAIG. All travel, lodging and other logistical costs are the responsibility of the policyholder. Choose to train at either the APS Headquarters located at the Phoenix-Mesa Gateway Airport (KIWA) 5865 S. Sossaman Road, Mesa, AZ 85212; or APS Texas located at the Arlington Municipal Airport (GKY) 5000 S. Collins Street, #208, Arlington, TX 76018. Customers booking at the Texas location must plan for 1 weather back-up day in case inclement weather impacts scheduled training flights. Scheduling information, links to APS preparatory training guidance, plus travel and lodging recommendations will be provided upon confirming training dates. Nearest International Airports: Phoenix Sky Harbor (PHX); and Dallas Fort Worth (DFW) or Love Field (DAL). Participant requirements: Maximum Participant Height – 6′ 6″ (190cm); Maximum Participant Weight – 250lbs (113 kilos). Must be fluent in English (both comprehension and spoken); Medical fitness is the responsibility of the customer. Upon arrival, participants are required to sign the APS Participation Agreement and are provided with the APS UPRT Pilot Guide. Upon completion of training, pilots receive a completion certificate and thumb drive with HD quality in-flight videos and photo souvenir. APS offers the opportunity for policyholders enrolled in the 2-day/3-flight UPRT course through Performance Vector to upgrade to the APS Professional Pilot UPRT course. A 50% non-refundable deposit is required for the upgrade charge, with balance due on or before the 1st training day. Contact APS to use your Performance Vector credit towards other APS UPRT Programs. After receiving your enrollment confirmation by email, contact Faye Hamilton with APS at 480-279-1881 Ext 12 or by email to [email protected] to schedule your training. Classes start early morning on Mondays and Wednesdays all year around. Please remember to advise APS you are scheduling a USAIG Performance Vector trainee. 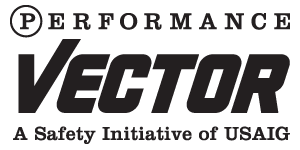 USAIG proudly welcomes Aviation Performance Solutions LLC (APS), a global leader in Upset Prevention and Recovery Training, to its Performance Vector safety initiative. Performance Vector delivers valuable, forward-looking safety support and is available to USAIG policyholders who insure turbine-powered aircraft or place multiple policies with USAIG. Eligible policyholders can choose annually from a range of safety enhancing programs and services delivered by the industry’s leading providers.